FAQ:What are the Field Size Limits in QuickBooks? A common question is “how much information can I enter in a particular field?” in QuickBooks. Another common question is “how can I make the field accept more information than it does now?”. Here is a list of some common fields in QuickBooks and their max size. If there is a field not listed here that you are interested in, leave a comment and I’ll add the info. As far as enlarging a field – sorry, you are out of luck, you can’t change the maximum field lengths shown here! Please i wish to know the Customer Addr1 ,…,Addr4 field size. Please advise if 8 digits left of the decimal point (I.e. 99,999,999.00) is only the max input number or the max reportable number on a financial statement as well (I.e. Total assets). Rod, that is the max input number, you can have larger numbers accumulated, such as in total assets. I don’t know what the limit is there, if any. what is the max number of characters allowed in the Invoice # field? Jeff – the maximum is 11 characters in the Desktop product. Did they shrink the Item Name length from 41 as indicated above to 31 which is what I can actually enter into QB Ent 2012? Michael, that was a typo, I corrected it. The limit is 31. In Quickbooks Pro 2011 I added a custom field to Customers called “Batch #”. I then added this to my Sales Receipt so I could record a credit card batch processing number in the header of the Sales Receipt. Works fine. How can I get my Batch # field to display as a column in the Customer Center? When I go to Customize Columns my new Batch # field does not appear on the list of fields I can display. What gives? Patrick, the customer center has two customizable lists. The Customer list itself can have the custom field, but it will only show the value that is in the customer record, not in the sales receipts. The transaction listing on the right is very limited, they don’t include MANY fields there (such as custom fields). You can add that field to a “detail” kind of report instead. Many thanks Charlie. I was hoping to be able to see my new Batch# field in the Customer Center display just like Date and Num fields but I guess that’s not to be. I’ll follow your suggestion about using a report instead. What is the limit of characters to the purchase order # field on the purchase order template? PO Numbers are limited to 11 characters. How can I get a 10 or 11 digit number to regenerate to the next number? It want to default back to 1 all the time. Frustrating when entering 50 or so PO’s in a row with a 10 digit number in sequence. Want to avoid entering the entire number each time. Typically if you have a PO number that is all digits, and you save the PO, the next PO will come up with the same sequence. However, I believe that only works with shorter values. a 10 or 11 digit number may be too long for this feature. I’m using QuickBook for Mac 2012 and I cannot enter number with more than 8 digits. Can you tell me how to do to enter number with 11 or 12 digits?What are the settings I have to modify? Do I have to download an over version? You can’t change that, unfortunately. What is the maximum number of characters in the email message when emailing a sales receipt and can that be lengthened. Thank you. Noela, you are probably using the Australian version, and that may work differently than the US version that I work with here. In any case, I use Outlook, and I can have any length of message I want if I edit the message before it goes out. The string “..long text..” in the field “Memo” is too long. I’m using QuickBooks Pro 2012 and XML API. I generally don’t do support for the QBSDK in this blog – there is a forum by Intuit for that kind of question, which I highly recommend. I’m using desktop and lowered limit to Online version cap hoping it will help. Unfortunately Intuit development forums are closed for new topics – all further discussions are on StackOverflow. Andrew, only the IPP forums are set to read only. The QBSDK forums (https://idnforums.intuit.com/) are still active, people are adding new discussions there daily. Yeah, you’re right. Posted question there, Thanks! 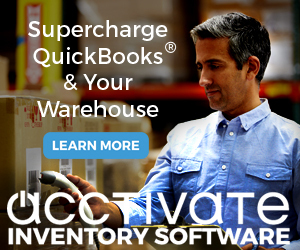 We are using QuickBooks Enterprise Solution: Manufacturing and Wholesale. The problem we are running into on the Purchase Order form is that the “Description” field size is 29 but the “Part Number” field appears to be unlimited in size. Is there any way of changing this? We are using the US version 13.0. And, I think you are right in that we got some things reversed. I just got off the phone with a support person with QB and it appears we are using a Part Number field for our Description and vice versa. I’m using QB Enterprise Solutions: Manufacturing and Wholesale 14.0. We’re trying to add an additional field to our Invoice Template that will include a second address. The first address is populated by the Customer, and we want the second address to be populated by the Rep. Our Customers are contractors for our business. If a customer of our contractors comes in to pay, we want to include that information as the second address. Is this possible, and if so, How? There are two address blocks – essentially “ship to” and “bill to”. If you don’t need both for the customer, relabel them and have one be “customer address” and the other “contractor address”. I am vexed over the length of the website field in the ‘additional info’ tab for customers. We have a few members with very long website names! You could use a URL shortener like bit.ly or goo.gl and save that, if you just need it to find the website. I want to add po number to my invoice email template. what is the field name for that field in QB 2014 desktop Pro? hi, we use Enterprise Solutions 15.0 cloud base 10 user. I have set up Terms under Group but I am unable to have it print on the invoice. It is a pretty large description. How many characters can I use? I’m not sure what you mean by “Terms under Group” – how did you set things up? Please clarify. For the Item Description field I seem to be constrained to 60 characters for 4000+. Can you help me understand how to expand the characters allowed in the item description field? The Mac versions, particularly older ones, have smaller field sizes than the Windows version that I’m discussing here, in many cases. There isn’t anything you can do to expand them. I don’t know if the current versions have a larger field size here or not, as I don’t work with the Mac versions at all. 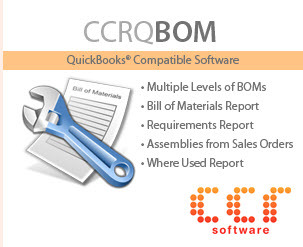 How many characters can be in an e-mail which is accompanying a QuickBooks invoice? Thx. What QB product, and what method of emailing have you chosen? I use Outlook with QB desktop products. It opens the email message for me, and I can type anything at all that I want to in that just like any other email message. Please quickbooks need to lengthen the Item(code)for us to smoothen our Item coding since quickbooks doesn’t have a separate field for sequential item code generating. I doubt that Intuit will be doing that, there is no interest on their part to do any major overhauls of the desktop database. You can use the “subitem” feature to construct longer ID’s in the Windows desktop versions, although that doesn’t always work well. If you add item “ABC”, and then add item “DEF” and mark it as a subitem of “ABC”, then you have a full name of “ABC:DEF” for that item. The TOTAL length of the FULL name can be 159 characters. The problems are that this changes how the items are listed in reports, and on forms like invoices only the last level of name (such as “DEF”) will show on the printed form. Can lengthen the Item code(name)from 31 to 60 please. What about the UnitOfMeasureSetRef Full Name field? How about the size limitation on that field? There really needs to be a global reference for all of these fields, this is ridiculous! For QuickBooks Desktop Pro 2017, on the Bank “Transactions List” screen, the field “DOWNLOADED AS” seems to be limited to 31 or 32 characters. Can this field be expanded to capture all of the characters in the bank account field for that item? In general, if you see a field in QuickBooks and there is a limit to how many characters it holds, there isn’t anything you can do to expand that. I was wondering about the account name character limitations and inclusion of the sub fields. I am assuming that all characters are counted as imported. So if you have three subs and the total exceeds the 31 character limit, will it fail to import due to the limitation or is it per level at 31 characters each? Each account in the Chart of Accounts has it’s own “Name”, which is limited to 31 characters. That is the individual account name. Each account also has a “FullName”, which is the fully qualified name including all of the ancestors if it is a subaccount. That is limited to 159 characters. When exporting all items to CSV from Quickbooks Enterprise 2018, the field is being truncated after 100 characters. We’ve tried opening the exported file in Notepad++ as well as Excel, so we’re fairly certain that this is an export issue. In the advanced export options in QB, we aren’t able to make any setting changes. Thoughts or advice? Yes, the Excel exports have limits. No way to change those. Depending on what you are exporting, you could get the Transaction Pro Exporter (www.baystateconsulting.com) to export the data, which won’t have that kind of field limitation. Or use the QODBC database driver (www.qodbc.com), which is included for free in Enterprise. Or use the QQube tool (www.clearify.com). What is the field length limit of a PO number? 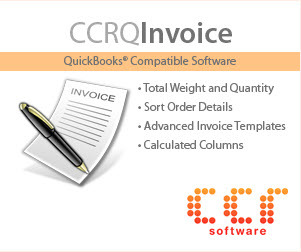 « FAQ:How Do You Remove the “T” Column from a QuickBooks Invoice?